The debut novel from acclaimed new age voice Jimmy Twyman is an unforgettable tale of love, friendship, and devotion told with passionate lyricism and spellbinding imagery. 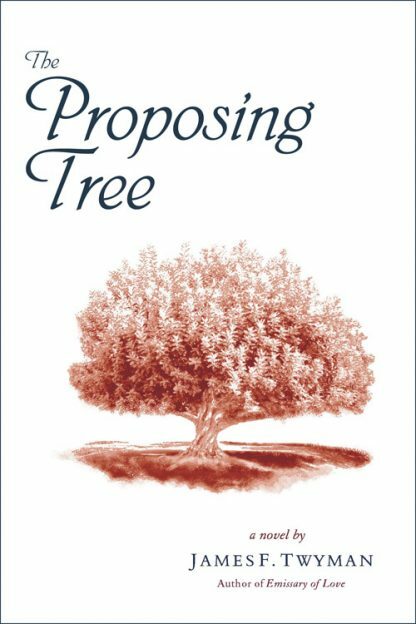 The Proposing Tree takes its impetus from a real tree that grows in Santa Monica, an actual Proposing Tree where young men pour their hearts into eloquent and timeless proposals of marriage to the women they love. Beginning in 1960s Los Angeles, and charting a course up to the present day, The Proposing Tree follows the arcs of one such star-crossed pair of lovers. As Fredrick kneels under the tree declaring his love to Carolyn, he hears the words all men dread: she wants to remain �just friends.� Yet, despite his heartbreak, he does remain steadfast in his friendship, even as she closes the door forever on their romance by marrying another man. But forever can be a long time, and the power of true love can lead to extraordinary outcomes. What will become of the love of Fredrick and Carolyn?